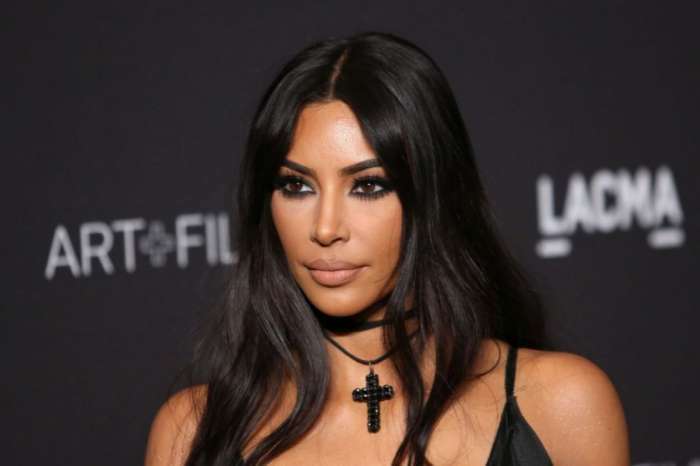 Kim Kardashian has been vacationing in the Turks and Caicos and as is habitual for the reality star, she has shared photos and videos to her social media accounts. Now, a new video showing Kim Kardashian paddleboarding in a bikini is going viral, but not for the reason you might suspect. While Kim is drawing plenty of attention for her bathing suit selfies, she’s launched a meme based off her paddleboarding video. First, people are responding to the video itself that show Kim posing atop the board while her friend is in the water taking pictures of her. The other aspet of the video that is inspiring comments from the public is that it is similar to an episode of Keeping Up With The Kardashians (KUWK). In the episode, Kim Kardashian is searching for a lost diamond earring, and fans think her paddleboarding voyage looks more like she’s stirring the ocean waters hunting for a missing earring. Fans have responded with memes, pictures, GIFs, and videos. What hasn’t gone without notice is the fact that Kim is so busy posing for photos, she isn’t actually paddleboarding for any distance. Some fans have commented that Kim would probably have had more fun on her vacation if she paddleboarded for fun and with friends instead of just posing for photos and taking videos. Kim’s bikini selfies are drawing millions of views on Instagram and numerous comments. Some have remarked that she appears to be skinnier than she has looked in recent photos. According to a new report by Yahoo, Kim Kardashian has hit the gym with new focus and determination after being what she referred to as body shamed. When Kim was vacationing in Mexico, a photographer took photos of her that went viral. They were unflattering and Kim felt she wasn’t in the best shape and that the photos were edited to magnify her flaws and make her appear physically less attractive than she was. The event motivated her to get in the gym and train harder on her physique. It doesn’t look like body shamers will be attacking her bikini selfies from the Turks and Caicos, but the public certainly is having fun with her paddleboarding video. What do you think of Kim Kardashian being photographed while paddleboarding? Do you agree with those who responded with memes? Carrie Underwood Reveals Her Status Following Epic Fall - "Things Are Pretty Darn Good"